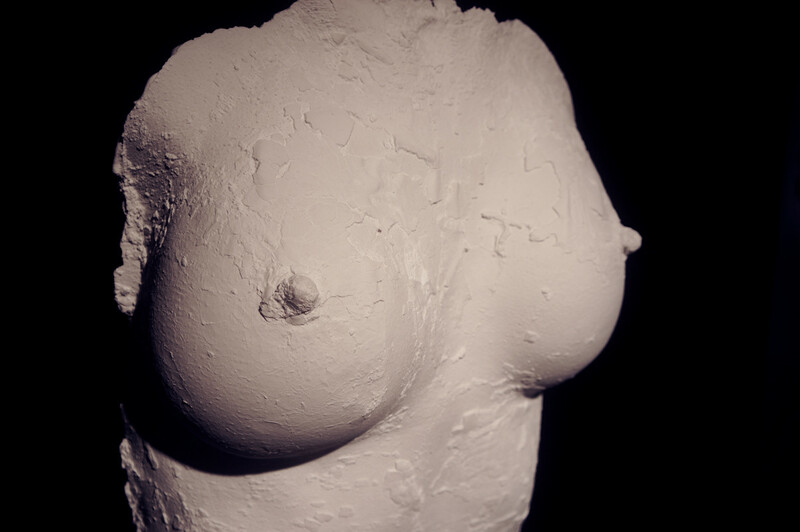 Body molds of modern and strong women. Beautiful, pure, and with a cause. 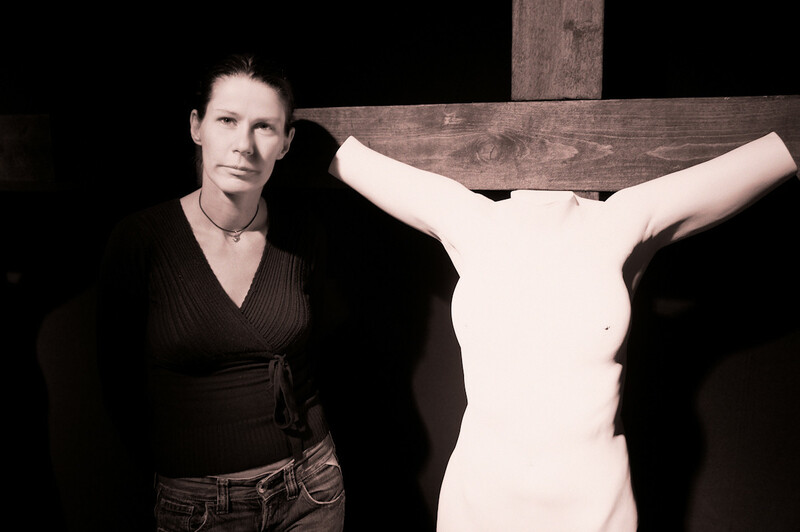 With her artwork, Nicole Tiesmeier aka Juno, is also questioning patriarchic structures like those found in the Catholic church. Hi, I visited the dual artist exhibition Connected in Brick 5, featuring Juno's pure white body sculptures and paintings of Jolanda Richter. 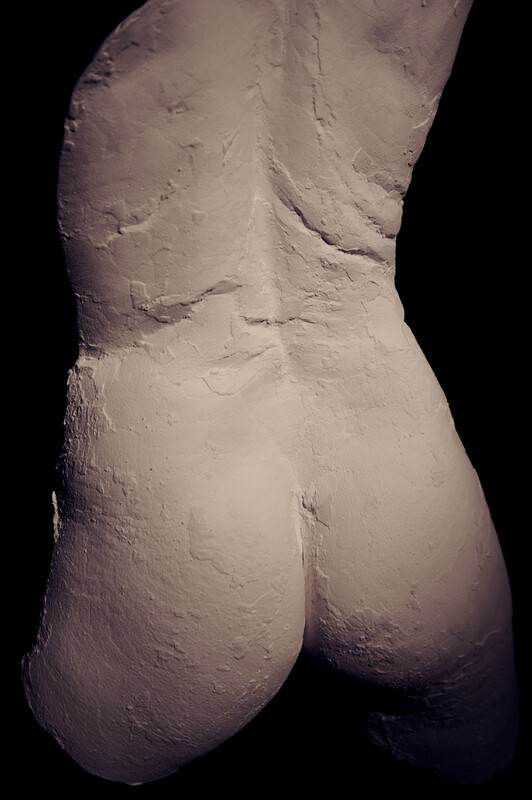 In this blog post, I will focus on the plaster artwork by Juno. 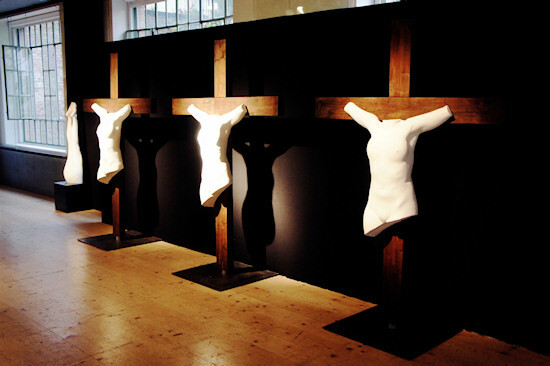 Most of the exhibits were devoted to a figure in Shakespeare, but the most prominent installation was that of "Female Jesus" (Frau Jesus), showing three women hanging on the cross. With her artwork, Juno also wants to question the patriarchic structures still found in our society and especially in the Catholic church, which has influenced our society for two millennia. Why can women still not become priests in the Catholic church? The artist. Nicole Tiesmeier aka Juno. How did you like Juno's body sections? After a break, I will cover the second part of the exhibition, the paintings of Jolanda Richter. 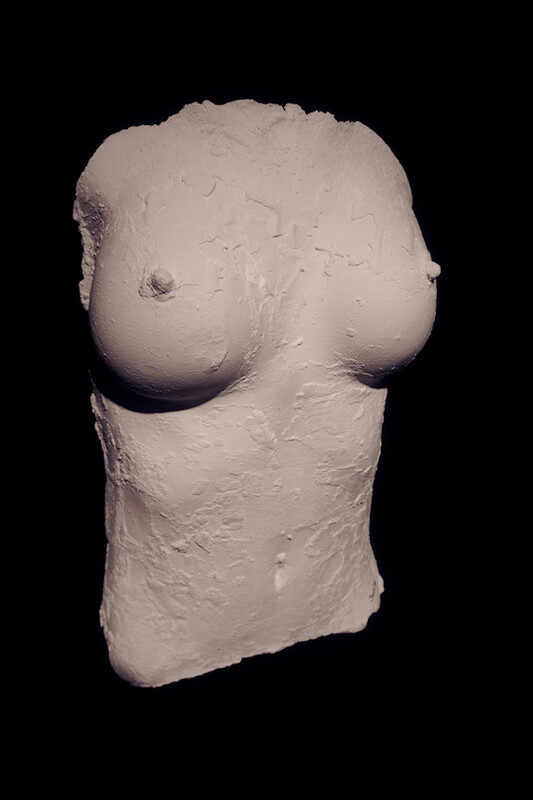 *lol* you made my day ♥ how about this sculpture?